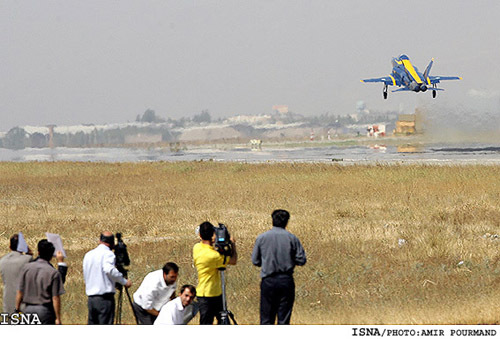 Tehran, Sept 20, IRNA & Press TV - Two fighter planes from the Azarakhsh (Thunder) fighter generation were successfully tested in Tehran at the presence of Defense Minister Brigadier General Mostafa Mohammad-Najjar Thursday morning. 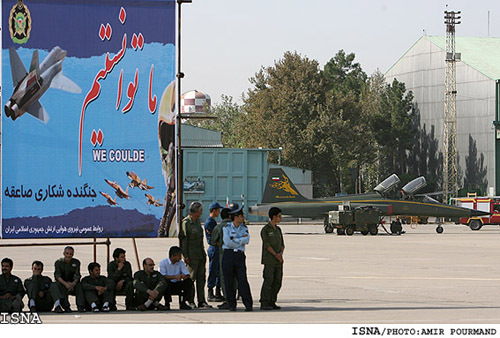 The fighter planes, named Saeqeh (Thunderbolt), are the second type of Azarakhsh fighters. 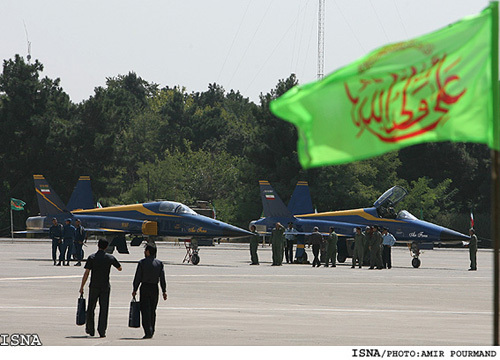 They were tested by pilots of the Army's air force during a ceremony at Tehran Mehrabad International Airport. The ceremony was attended by head of Majlis National Security and Foreign Policy Commission, Alaeddin Boroujerdi as well as a number of other senior officials from Army and Defense Ministry. 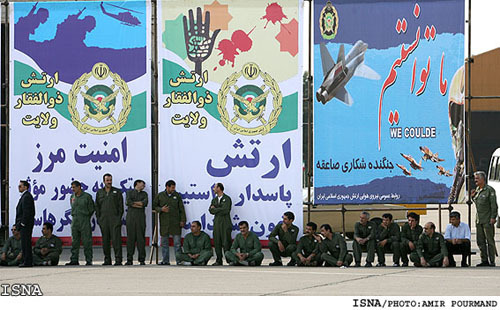 The planes will officially join Army's air force fleet on September 22 which is celebrated in Iran as the national 'Army Day.' On this day which marks the anniversary of Iraq's imposed war against Iran in 1980, various parts of Iran's armed forces will demonstrate their defense power by going on parade. 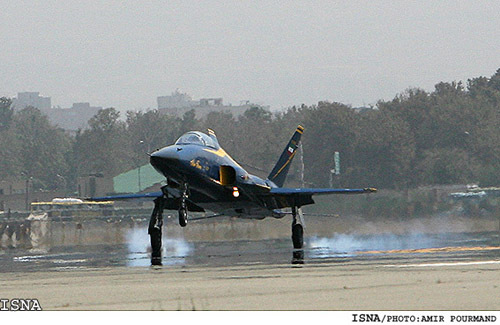 Saeqeh, a joint product of the IRI Air Force and Iran's Defense Ministry, has been described as an aircraft similar to the American F-18 fighter jet. 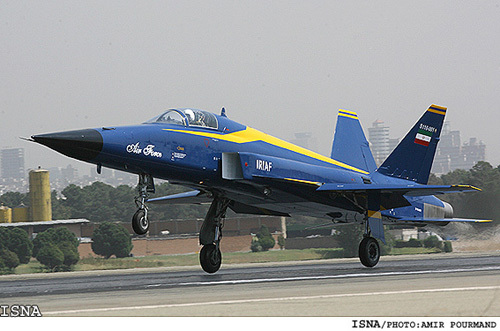 Last month, Iran also demonstrated a new fighter jet for the first time, which was modeled on the American F-5 but built using domestic technology. 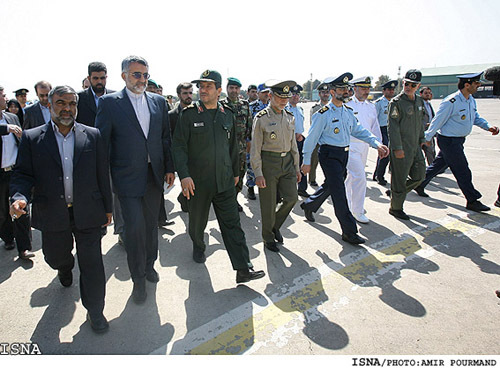 The Azarakhsh jet made a successful flight in the Iran's central city of Isfahan in a ceremony attended by Iran's Defense Minister Mostafa Mohammad Najjar and other officials in August. The development of the aircraft was first announced in September 2006, when military officials said that it would be "comparable" to the US F-5 fighter jet. 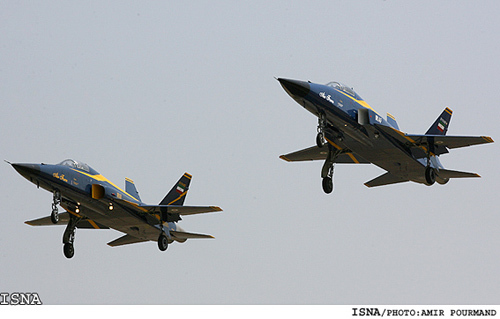 Following the successful flight of Azarakhsh fighter jet, Iranian Defense Minister, Brigadier General Mostafa Mohammad Najjar said that Saeqeh, which is the second generation of the Azarakhsh fighter jets, would also launch official flights in the Iranian air space in the near future. 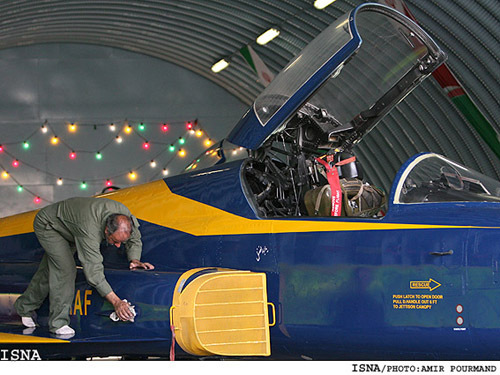 Iran has restored three of its three-decade old F-14A jets to operational status. More F-14As are to be restored this year and next. There is, however, the matter of credibility and capability.